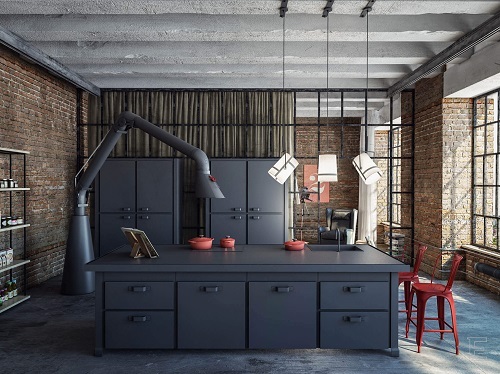 Industrial style is all about being simple and functional. Wood, concrete, and metal are the holy trinity of materials and instead of trying to hide functional features, industrial design flaunts them. Contemporary design sometimes brings in elements of industrial design, balancing these harder features with natural materials for a softer feel. In other words, you can do a lot or you can do a little when you go industrial. 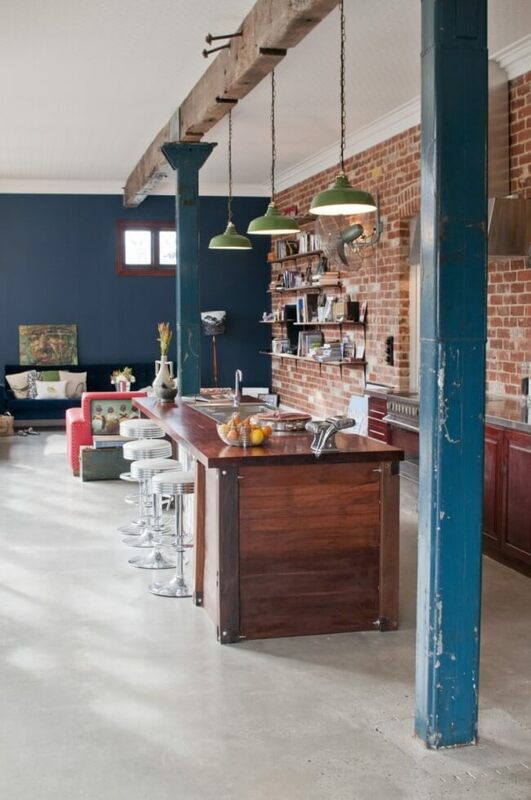 Let’s call this look “rustic industrial.” I love the imperfection of the chipping paint on the beams. And the knobby, exposed wooden rafter gives the room a vaguely farmhouse feel. However, you can definitely keep it sleek if you like. 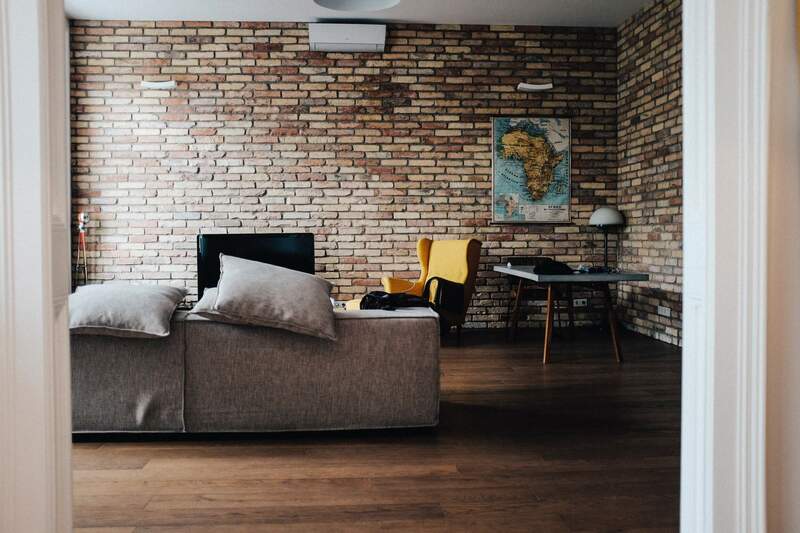 Stained concrete floors have become widely popular since the death of carpet (yay!). The finish on stained concrete can range from rugged and random to completely polished and uniform. 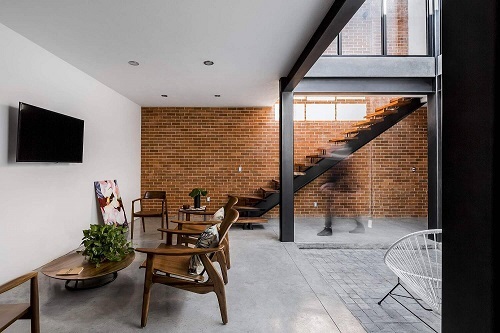 With its exposed brick wall and metal stairway, this room doesn’t require much else in the way of design. Not everyone has a sweeping space to build upon. 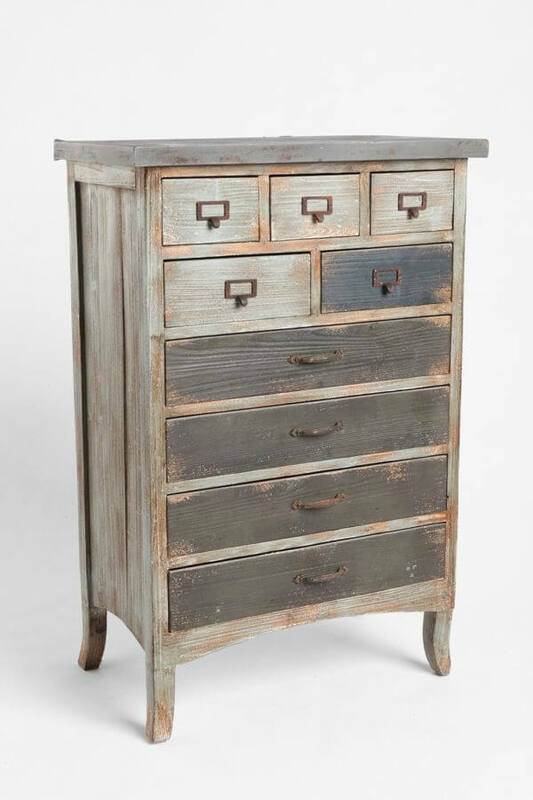 To add industrial style to any room no matter the size, add furniture such as medical-inspired drawers or restaurant industry dish carts. This storage chest is modeled after a library card catalog. Or bonus points if you can salvage and restore the real thing. 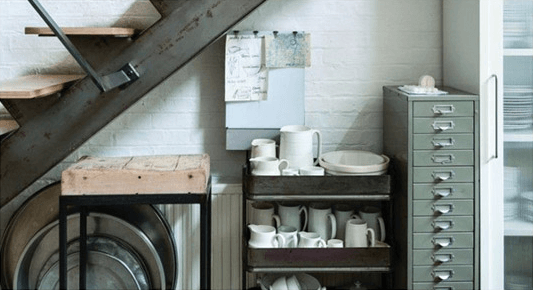 Metal kitchen shelving, metal hanging hooks for pots and pans, and metal baskets are also easy ways to give any space a utilitarian look. 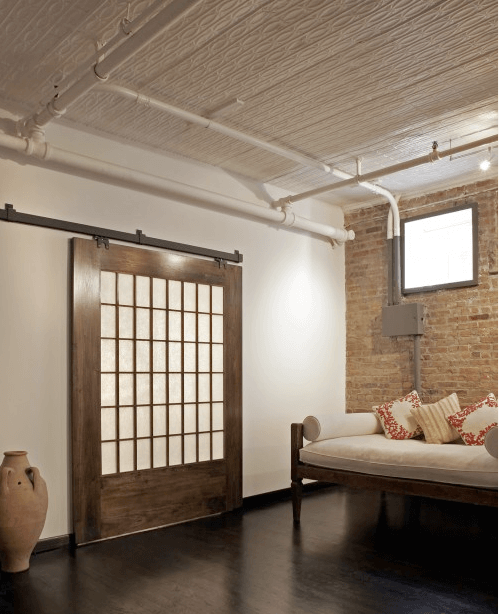 Reclaimed doors, window frames, or other finishings can make a great addition to your industrial-themed home. 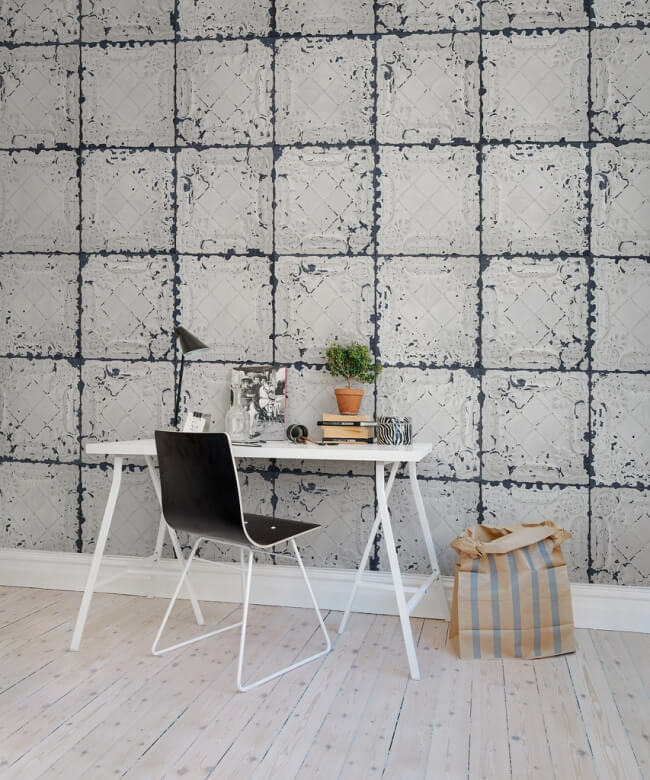 These reclaimed pressed metal tiles feel like they came out of an old hotel and they are just heavenly. 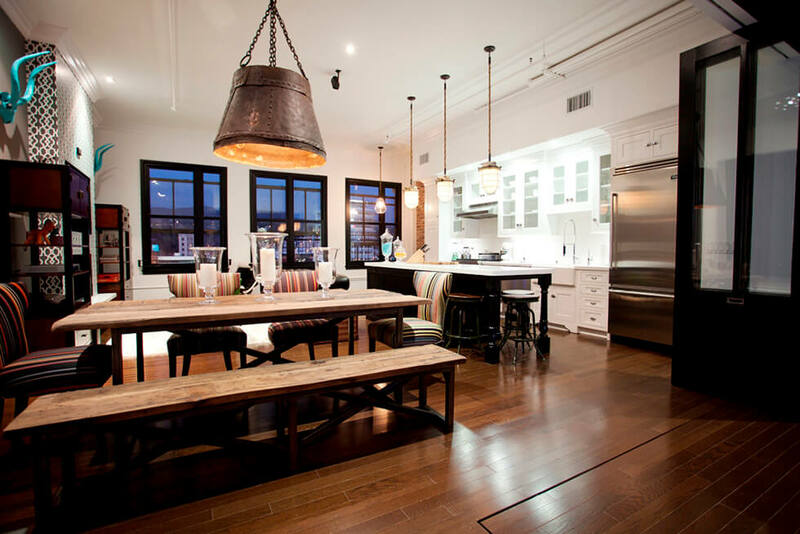 Giant pendants like this one are probably the most common example for an industrial-themed room. But the “under the microscope” feeling of the laboratory light in this kitchen is just fantastic. Photo courtesy of Evgeniy Evdokimov. The industrial style originated, as the name suggests, in the late 18th century during the Industrial Revolution. Exposed factory pipes are a long-standing example of the style. 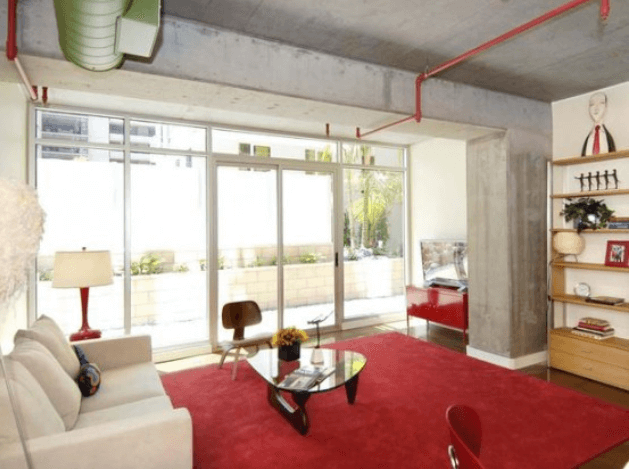 These red pipes reject the style’s typical neutral colors and give this room more pop. And with a little white paint exposed pipes work perfectly with the minimalist design in this room.